This exquisite Victorian home is breathtaking! No corners were cut & the renovations are nothing short of spectacular. 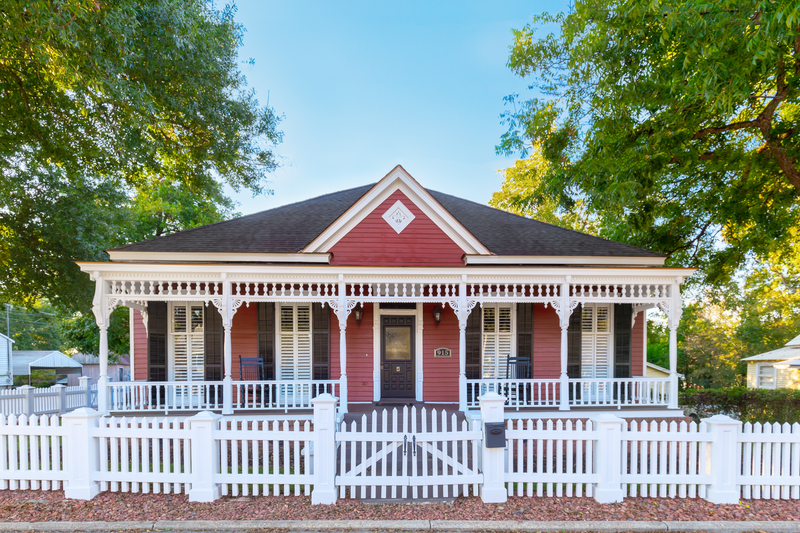 The surrounding white picket fence reminds you of times gone by while the rocking chairs on the porches give visions of a simpler time. The floor to ceiling windows, cast iron vent covers, vintage pull-chain toilets & many other preserved details are married perfectly with all the modern style & conveniences you want while maintaining the integrity of this early 1900's home. Inside & out, no detail was overlooked in this remarkable home. The main hall makes for an inspirational entry & the kitchen is open to the living room. Each bdrm is spacious. A J&J bath adjoins 2 rooms & the master is equipped w/ an ensuite. Out back is a courtyard setting & this home is just a short walk or bike ride to downtown Columbus. Positively a masterpiece in real estate! Think outside the box!! This impeccable property is also ZONED COMMERCIAL (C-3) which allows for creative options & flexibility for a multitude of uses. Just a short walk to the Russell County Court House and centrally located between downtown Phenix City & downtown Columbus. This property could make an outstanding office space or an Air BNB for rental options. The backyard could be paved to accommodate more parking & street parking available.